One in four women will experience domestic abuse in her lifetime. One could be anyone. Your mother, your sister, an aunt, a co-worker or your best friend. Victims also include men and LGBTQ individuals - truly anyone. 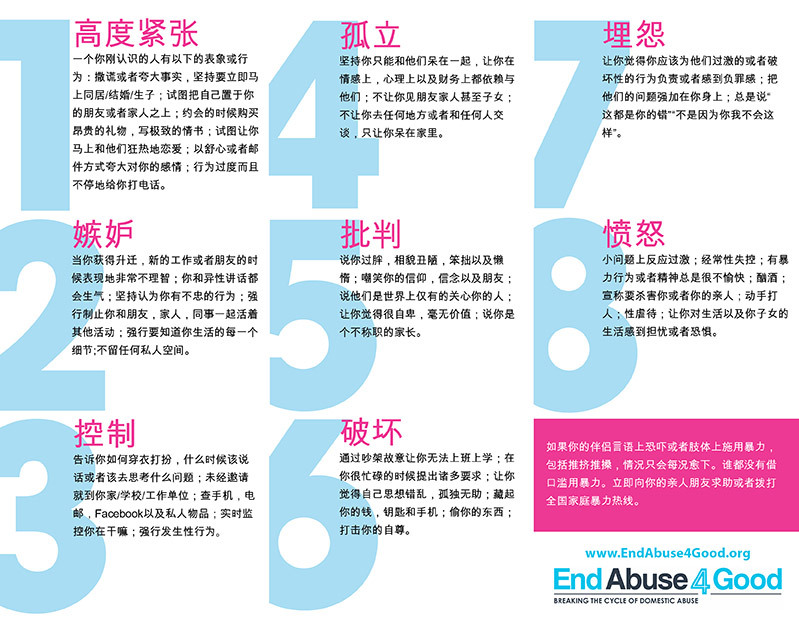 Share The 8 signs now and prevent abuse! These signs may be downloaded, distributed, posted - shared in any way, on any platform. Click on the signs you want to download, drag to your desktop and print or post online. EndAbuse4Good is committed to breaking the cycle of domestic abuse against teens, women and children. Banner images provided by EndAbuse4Good.